The New York Jewish Week runs a (rather blush-worthy!) article by travel writer Hilary Danailova about me and my Jewish heritage work, including the Jewish Heritage Europe web site. 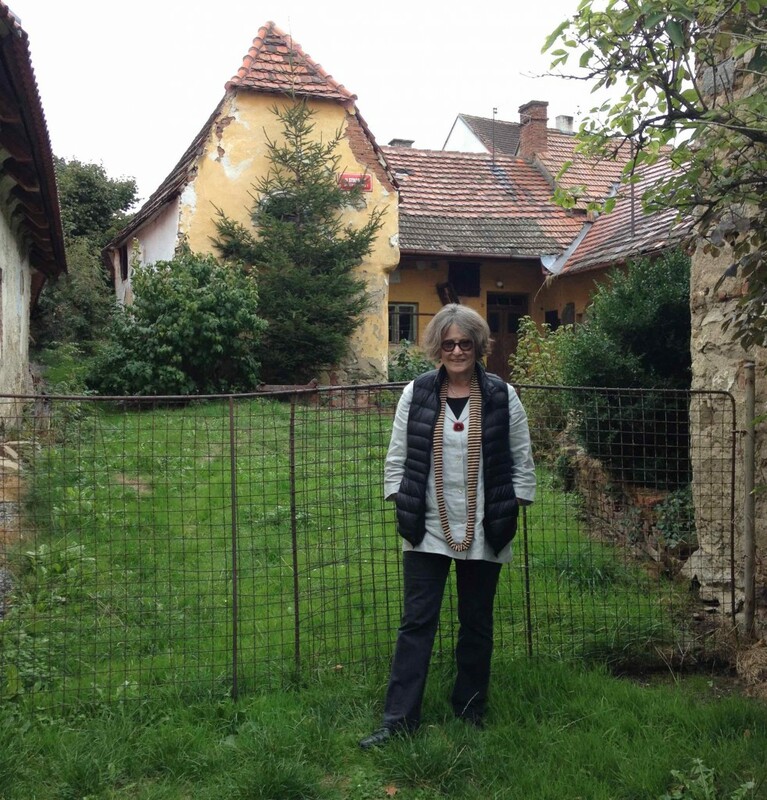 From Poland to Portugal, nobody knows Jewish Europe like Ruth Ellen Gruber. The thrill of discovery is something Gruber shares with a growing number of enthusiasts through the website she oversees, Jewish Heritage Europe. A project of the Rothschild Foundation (Hanadiv) Europe, JHE is a comprehensive web portal for all things Jewish overseas: festivals, institutions, scholarship, synagogues and cemeteries. Under Gruber’s direction, JHE has evolved into an essential travel resource. With an engaging redesign and the recent launch of “Have Your Say,” a feature that invites interactive commentary, JHE makes Jewish Europe more accessible — and more communal — than ever. Gruber has long occupied a front-row seat for the show that is modern Europe. 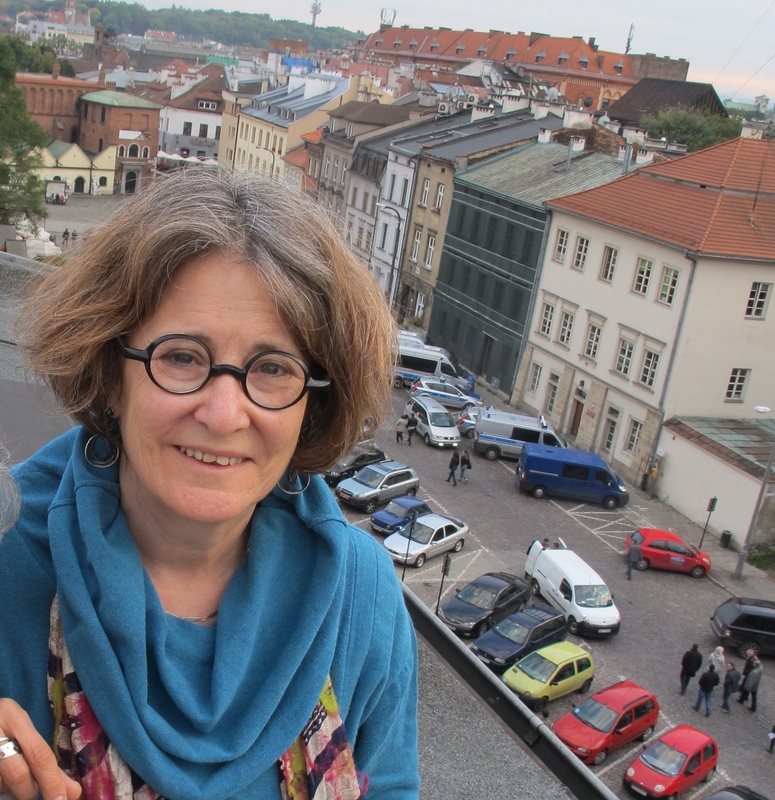 Since the 1970s, she has reported from abroad for many major news outlets in North America; currently JTA’s senior European correspondent, next summer she will lead her first European Jewish heritage tour for The New York Times. When we caught up last week by phone, Gruber was back at her home in an Umbrian village after spending Yom Kippur in Budapest, where she also keeps an apartment. I asked Gruber if she had witnessed any of the migrant turmoil that had put Central Europe in the headlines. Fresh off a semester-long stint as Arnold Distinguished Visiting Chair in Jewish Studies at the College of Charleston, Gruber was eager to talk up another September happening: the European Day of Jewish Culture, a Continent-wide celebration of local Jewish life — past and present — that draws huge crowds, mostly non-Jewish. Gruber participated in the event’s founding 20 years ago, and as the klezmer concerts and synagogue tours spill over a whole week in many cities, she wishes American Jews would get more involved. I pointed out that the first week of September is a hard sell for Americans — but those who do go are profoundly moved by the sight of Europeans, many of whom have never met a Jew, cherishing a part of their collective culture that until recently was ignored or shunned. That goes to the heart of Gruber’s philosophy, which holds that Jewish heritage is everyone’s heritage; historic synagogues are no more sights for Jewish tourists only than cathedrals are for Christians only. Europe’s newfound appreciation for Jewry explains what Gruber cited as the most exciting trend — the proliferation of Jewish museums, many of which employ novel formats to engage travelers along with wider audiences. The best known of these is the 2-year-old Museum of the History of Polish Jews in Warsaw, whose “virtual shtetl” has created a worldwide online community and established a model for 21st-century outreach. “It has a tremendous amount of impact; it’s a social network,” said Gruber. In a way, the wooden synagogue is also a metaphor for European Jewry — and it explains the passion Gruber brings to a tangible heritage that compels, not only with its grandest temples, but in its quietly vivid corners as well. Here’s my recent article for JTA on how commemoration and mass tourism collide at Auschwitz. (JTA) – Pawel Sawicki gets to his desk every morning by 7, but he works no regular office job. Sawicki is an information officer at the Auschwitz-Birkenau State Memorial and Museum, the sprawling complex in southern Poland that encompasses the largest and most notorious Nazi death camp. More than 1.1 million people, mostly Jews, were murdered there. 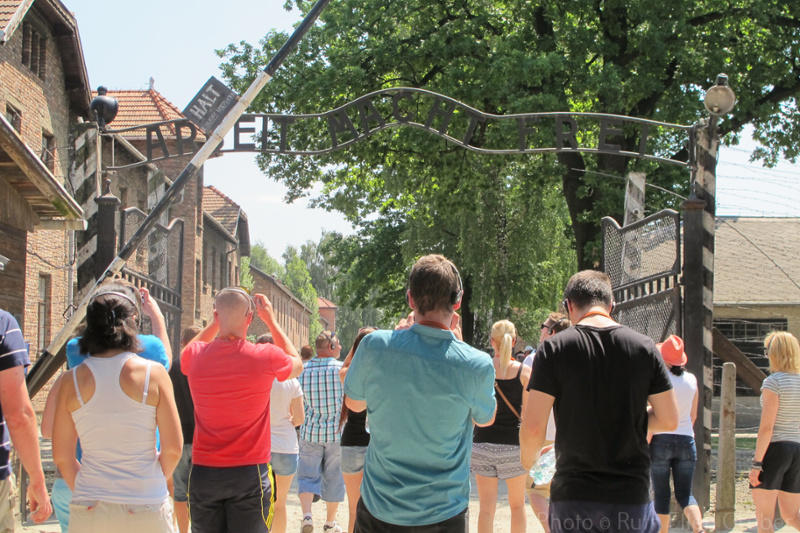 Auschwitz is a place where history, commemoration and, increasingly, mass tourism collide. The iconic symbol of the Holocaust, Auschwitz is also a major tourist attraction — the most-visited museum in Poland. Its complex identity — Auschwitz is also a sacred site of martyrdom for Catholic Poles — has made it an emotional, and sometimes political, battleground of memory since the end of World War II. The latest instance erupted last week, when the museum’s effort to help visitors during an extreme heat wave by installing misting showers provoked outrage among those who felt they invoked the fake showers at Birkenau that spewed poison gas. Facing a storm of criticism, the museum defended its actions. “Something had to be done” to help visitors cope with the sweltering temperatures, museum officials wrote in a Facebook post. The museum also pointed out that the Nazi gas chamber showers where nearly 1 million were killed by Zyklon B poison gas looked nothing like the misting sprinklers. “Zyklon B was dropped inside the gas chambers in a completely different way – through holes in the ceiling or airtight drops in walls,” the museum said. As the heat wave abated, the misting showers at Auschwitz were removed. “The site is so complicated, with so many conflicting aspects, that nothing is easy,” said Tomasz Cebulski, a historian, tour guide and educator whose doctoral work was on the museum’s political and international aspects. Created by an act of the Polish Parliament in1947, the memorial museum comprises two parts – the Auschwitz I camp, entered through the iconic “Arbeit Macht Frei” gate, and the vast area of Auschwitz II, at Birkenau, about two miles away. The museum’s permanent exhibition, displayed in several of the brick barracks in the Auschwitz I camp, opened in 1955 and has changed little since. It includes displays of original artifacts and masses of material left by victims: suitcases, eyeglasses, prosthetic limbs, clothing, kitchen utensils, even hair shorn from victims’ heads. Birkenau is a memorial site, a vast open area marked by the grim ruins of the crematoria and barracks and bisected by railway tracks. At one end stands a large monument to victims erected in the 1960s; at the other, the looming entry tower and siding where trains carrying victims were unloaded. One of the museum’s key challenges is conserving the site’s deteriorating buildings, ruins, archival holdings and artifacts. The museum is a state-run entity. The Polish government provides more than one-third of the approximately $15 million annual budget, and the European Union also contributes some funding. But more than half of the budget is generated by the museum itself through visitor fees for guides, sales of publications, onsite business concessions and other income sources. In 2009, a special Auschwitz-Birkenau Foundation was established to “amass and manage” a perpetual endowment fund of $120 million whose income is specifically earmarked for long-term conservation. Some 35 states have pledged or donated funds to the endowment, including more than half of the sum from Germany alone. The museum employs 339 staffers, including security personnel, educators, archivists, preservationists and technology specialists. They face a daunting task, said Emory University Holocaust scholar Deborah Lipstadt. 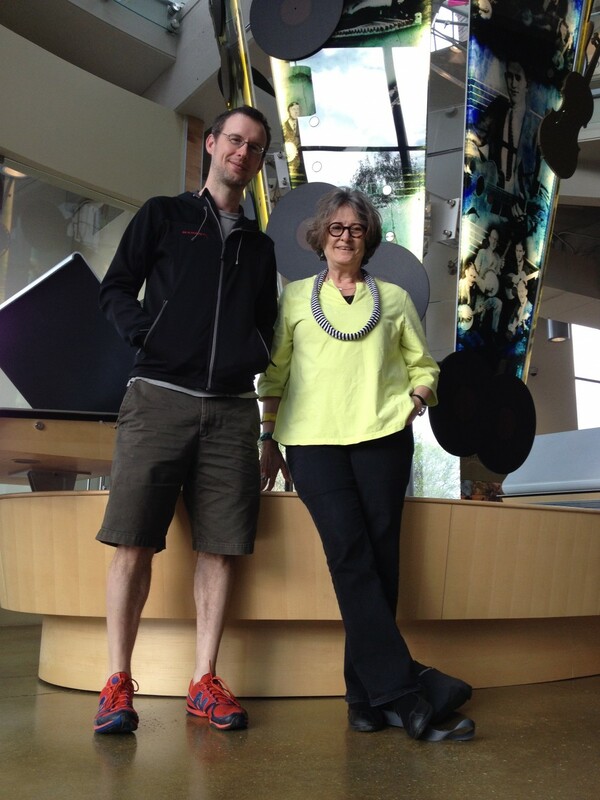 “They are both a museum to educate and also a memorial. And they are the major site of destruction,” she said. A dramatic upsurge of visitors in recent years has put serious strains on the fragile infrastructure at the site. A record 1.53 million people visited Auschwitz-Birkenau in 2014, up from less than 500,000 in 2000. This year, more than 1 million toured the site in the first seven months of the year. The growing numbers of visitors prompted the museum to implement new visitor regulations and security measures in January. For the first time, there is a ban on bringing backpacks or other large bags into the site. Basic entrance to Auschwitz-Birkenau is free. But during peak hours entrance is now limited, and visitors must pay to tour the site in groups led by one of the nearly 300 guides, working in 18 languages, who have been licensed by the museum after specialized training programs, often in cooperation with Yad Vashem, Israel’s Holocaust museum. Because of their large numbers and new regulations, some visitors must wait hours before they can enter the site. That has helped bolster visits to the nearby Auschwitz Jewish Center, a museum and prayer and study center established in 2000 and located about two miles away in the town of Oswiecim. Before the Holocaust, most of Oswiecim’s residents were Jews, and part of the center’s complex is located in Oswiecim’s sole remaining synagogue, Chevra Lomdei Mishnayot. The Oswiecim center is dedicated to educating about the Holocaust and Polish Jewish heritage, and the center cooperates with the Auschwitz-Birkenau State Memorial and Museum on educational programs, including for university fellows, U.S. cadets and midshipmen, and law-enforcement personnel. But the center at Oswiecim gets only a small fraction of the visitors to Auschwitz-Birkenau, according to the center’s director, Tomasz Kuncewicz. A $26 million off-site visitors’ center, due to open in the next two years, is expected to help, and a new education center is also planned. The museum also has embarked on an 11-year, government-funded project to revamp its permanent exhibit in a way that will modernize the presentation and reflect current scholarship while at the same time preserve the authenticity of the site and material on display. The extraordinary images reprinted in Memory Unearthed: The Lodz Ghetto Photographs of Henryk Ross are survivors, both physical and symbolic. Ross, born in Warsaw in 1910, was one of the more than 200,000 Jews imprisoned in the World War II Lodz ghetto. Thanks to his background as a photo-journalist, he was appointed to a privileged position—an official photographer for the Statistics Office of the Ghetto’s Jewish Council (Judenrat). He worked in that capacity from 1940 to 1945, taking thousands of photographs that documented the widest possible range of ghetto life—and death. On the one hand, his official work produced everything from ID portraits and group photos of ghetto police, to Potemkin village-like shots of ghetto inmates, smiling at their benches as they laboured in Council-run workshops, or “resorts”, including those that employed young children. But he turned his lens, too, on other scenes far outside the purview of propaganda—scenes of violence and mass deportations, scenes of murder and malnutrition, scenes of death. Often taken on the sly, from a camera hidden under his coat, these images are chilling but almost familiar in the Holocaust horror they depict. Ross, though, also immortalized intensely personal moments that put the death, destruction and degradation in a much more intimate, even unlikely, context: kids at play, a smiling bride at her ghetto wedding, friends clowning, a couple stealing a kiss. Ross, who survived the Holocaust and emigrated to Israel after the war, knew just what he was doing and just what he wanted to do. In January 1945, after the Red Army liberated the ghetto, he went back and dug up what he had hidden. Fewer than 3,000 of the 6,000 negatives he had buried survived intact; others were severely damaged from seven months under ground. But by bringing them back to light, he brought them, and what they represented, back to life. Ross unearthed not only shadowy strips of celluloid; he unearthed direct testimony to the cruelty of life inside the ghetto, and direct testimony, too, to life itself – the lives lived by ghetto inmates, intimate glimpses of humanity side by side with the horror. Lee Bidgood has written an engaging essay in Ethnomusicology Review about collaborating with Shara Lange on the filming of Banjo Romantika, the documentary about Czech bluegrass music that I helped on and in which I appear as a “talking head.” He writes about the practical nuts-and-bolts of filming as well as his changing role as scholar and participant. The most significant result of the documentary on my continuing fieldwork among Czech bluegrassers is an increased engagement with my projects. Discussing my plans for an English-language academic paper or monograph has never quickened my colleagues’ pulses. Seeing or hearing about the film has led many Czech people to contact me with questions, concerns, and feedback that I have been trying to elicit for years through more traditional means. We plan to broadcast the film on a television station in the Czech Republic, launching it into the wider discourse among fans and non-fans of bluegrass there. I’m about to leave Charleston after a wonderful semester as the Distinguished Visiting Chair in Jewish Studies. Here’s my JTA story about the new kosher vegetarian vegan dining hall that’s under construction. CHARLESTON, S.C. (JTA) – Renowned for its gracious architecture and signature Southern charm, Charleston is increasingly celebrated as a foodie heaven. The trouble is, in a city whose culinary specialties embrace (and glorify) oysters, she-crab soup, and shrimp and grits, the burgeoning restaurant scene is nearly off limits to those who keep kosher. But things are set to improve for the kosher-observant later this year, when the College of Charleston opens a $1 million kosher vegetarian dining hall in a new wing of its Sylvia Vlosky Yaschik Jewish Studies Center, home to the Yaschik/Arnold Jewish Studies Program. The dining hall, funded by several private donors, is an integral part of the college’s comprehensive $10 million fundraising campaign for the Jewish studies program. The three-story brick wing will double the size of the Jewish studies center, which is in the city’s historic peninsula district. The dining hall, set to begin operations around Hanukkah, will occupy the ground floor, with an open-plan design featuring curved ceiling details, cool pastel colors, an entry wall of Jerusalem stone and seating options for up to 75 people. All the food will be kosher and vegetarian, and some will be vegan (containing no eggs or dairy). Mark Swick, the Jewish studies program’s community liaison, said the food will be certified by Charleston’s Kosher Commission, which is comprised of local Orthodox rabbis. Some 800 Jewish students attend the 12,000-student school, and the college is using the new dining facility as a recruiting tool to attract more. Dara Rosenblatt, the college’s Jewish student life program coordinator, said the new dining hall is “already making waves” among students. Buzz has also begun to build outside the college — Charleston’s City Paper placed the dining hall on its list of 20 new eateries set to open in town this year. But Paige Lincenberg, a Jewish studies major from Atlanta, said she wasn’t sure yet what impact the new facility would have on her eating experience. She already eats “kosher style,” separating meat and dairy and avoiding pork and shellfish. For the strictly kosher observant, she said, finding kosher meat tends to be more of a challenge than finding vegetarian food. “It’s possible to buy vegetables and cook them,” she said. Jewish history in Charleston dates back more than 300 years, and the city, which in 1800 had more Jewish residents than New York, was a cradle of Reform Judaism in the United States. Charleston’s first organized congregation, Kahal Kadosh Beth Elohim, was founded in 1749, and its current synagogue, a graceful Greek revival building dedicated in 1841, is the second-oldest synagogue building in the United States. 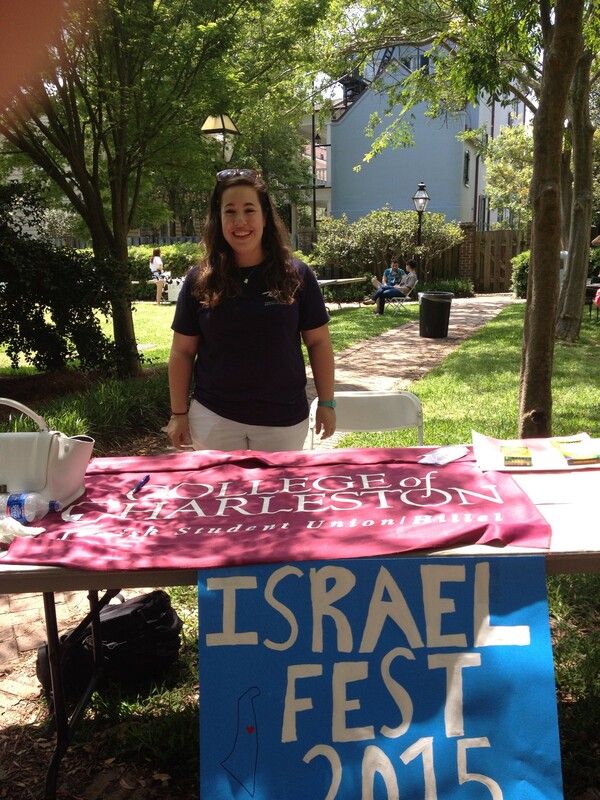 Today, approximately 6,500 Jews live in the Charleston area. The college’s Jewish studies program, established in 1984, offers majors and minors in Jewish studies, but outreach to the Jewish community at large is also a priority. The program hosts numerous events open to both students and the public, including film screenings and lectures. Many local senior citizens audit academic courses. Swick said that in designing the new dining facility, “We paid close attention to what other colleges across the country have done in offering kosher and vegetarian options.” (It is not known how many Charleston students are vegetarians, but the school hosts a vegan student group.) A model, Swick said, is Grins Vegetarian Cafe at Vanderbilt University in Nashville, Tennessee. Opened more than a decade ago in the Shulman Center for Jewish Life, Grins offers kosher vegetarian meals both on student dining plans and to the community at large, and is consistently ranked as one of Nashville’s top vegetarian restaurants. 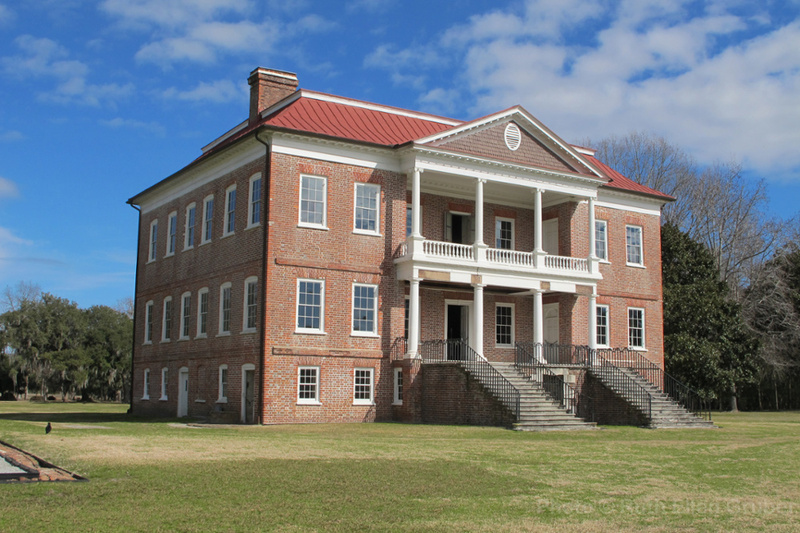 I wrote this piece for the web site of the Drayton Hall plantation outside of Charleston. It grew out of a session with descendants of both the enslaved people and slave-owners who lived there. I touch on parallels between presenting and interpreting Jewish history and heritage in post-Holocaust Europe and presenting and interpreting African American history and heritage in the Lowcountry. More than 20 years ago I wrote a book called Upon the Doorposts of Thy House: Jewish Life in East-Central Europe, Yesterday and Today. The title referred to the mezuzah—the encased prayer scroll Jews place on their doorposts, indicating a house as the home of a Jew. In post-Holocaust Europe you could often find the grooves or scars where mezuzahs had been removed or painted over during or after the Shoah—thus forming symbolic mezuzahs that indicated a house where Jews once lived. In my book, I extrapolated further, suggesting that the surviving physical relics of pre-war Jewish life—synagogue buildings, Jewish cemeteries, even if abandoned, in ruined condition or transformed for other use, also served as symbolic mezuzahs to mark towns, villages, cities, and even countries where Jews once lived and do not live now. My intent was to show how buildings and other physical sites can be talismans and touchstones, opening the way into memory and history. From the Jewish perspective, visiting Jewish historical sites in post-Holocaust, post-Communist Europe can be a very positive experience, emphasizing Jewish life, history and culture; but the experience also falls under what is now known as Dark Tourism—tourism to sites of what we can call “negative” history, “negative” experience: death, destruction, war. Sites of slavery also fall under Dark Tourism, though this aspect of a historic site (such as a plantation or genteel antebellum home) often becomes masked, elided, or simply footnoted in the presentation of beautiful buildings and gardens for tourist consumption. Much of this boils down to “who controls the narrative”—and to whom is the narrative directed: issues that we have been dealing with in the class I have been teaching, “Memory, Heritage, Renewal.” Although the main focus of our class is Jewish heritage and memory and their role and representation in Europe, we have been able to draw parallels with the way that African American heritage, history, and culture are presented here in Charleston and the Lowcountry. I was delighted that students from my class were in attendance at the panel presentation featuring the descendants of Drayton Hall, as the discussion clearly demonstrated the parallels we have been dealing with, touching on issues such as the point of view of interpretation and interpreters; messages and signage; how the same place can have different symbolic meanings and generate different memories for different people. I found particularly compelling a part of the film about Drayton Hall’s African American descendants that parallels the post-Holocaust Jewish experience in Europe. People were filmed sitting in the African American cemetery at Drayton Hall, speaking about how many of the deceased buried there had no markers for their graves, no one to talk about their history. In Eastern Europe, when I visit an abandoned Jewish cemetery, I often ponder the fact that most of the thousands and thousands of people buried in these places are also forgotten, with no descendants to tend their graves or even remember who they were. Drayton is not alone in trying to present a more inclusive past in the plantation context. Boone Hall has installed an extensive presentation on slavery and African American history centered on the nine preserved slave cabins there. Magnolia Gardens features special programs to bring to life its recently renovated row of cabins. And Middleton Place, which I have not yet visited, presents a permanent exhibit titled “Beyond the Fields” in a two-family tenant residence called Eliza’s House, in memory of Eliza Leach, a South Carolina African American born in 1891, and the last person to live in the building. The much less elaborate Hampton Plantation also incorporates the site’s slave history in well researched text panels, both in the Big House and along the path leading to it. In the wake of terror attacks on Jews (and others) in Paris and Copenhagen, I was asked to write an op-ed for CNN.com about anti-Semitism — and particularly about anti-Semitic terror attacks and violence. So I did. My aim was not to discount or minimize the recent attacks, but to provide some perspective — looking back at 40 years of anti-Jewish and other terror attacks in Europe and cautioning not to let legitimate alarm and fear be distorted into alarmism and fear-mongering. Charleston, South Carolina (CNN)Thirty years or so ago, the synagogue in Washington DC where I was attending Yom Kippur services received a bomb threat. As we evacuated the building, I was concerned that people didn’t seem to be taking it seriously. I was visiting from Europe, where terrorism was a fact of life, and I was scared. Throughout the 1970s and 1980s in Europe, and even beyond, far-left and far-right extremists, the IRA, radical Palestinians, and a variety of other groups carried out thousands of terror attacks, big and small, that left thousands dead or injured. Jewish, Israeli — and American — sites were targets of some of the most notorious attacks: from the massacre of Israeli athletes at the 1972 Munich Olympics, to plane and cruise ship hijackings, to attacks on airports, synagogues, and simply places where Jews congregated, such as the Jo Goldenberg kosher deli in Paris, where six died and 22 were wounded in a bloody attack in August 1982. In Rome, where I lived for parts of the 1970s and ’80s, we tended to avoid certain streets where El Al and U.S. airlines had their offices. The first big story I helped cover as a young reporter was a bloody attack at the city’s Fiumicino airport in December 1973. A dozen years later, the daughter of friends was killed in another Palestinian attack there. 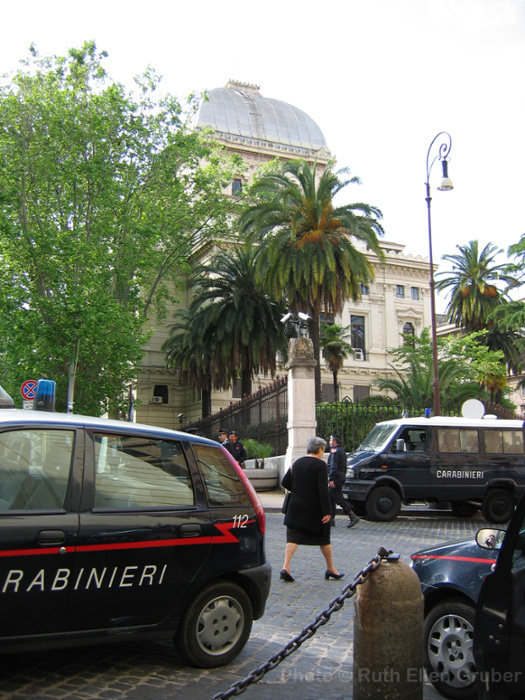 The main synagogue in Rome has been under tight guard since Palestinian attackers threw hand grenades and sprayed machinegun fire at worshippers after services in October 1982, killing a toddler and wounding dozens. I don’t want to discount the gravity and horror of recent terror attacks against Jewish targets in Europe, such as in Copenhagen and Paris. I just want to add some perspective. Many things have changed over the decades. Post-Cold War power vacuums and Middle East upheavals have given rise to radical Islamism and globalized Jihadist terror networks whose message, fanned out via the internet and social media, strikes a chord in disaffected youth. To be sure, Jews are being targeted. But it is important to recognize that Jews are being targeted as part of a violent campaign against western democracies and western values in general. Today’s victims of Islamist terror include Christians and Muslims as well as Jews. In the Middle East and Africa, women, children, students, and cultural heritage — history — are also directly targeted. In some ways, today’s Jihadist terrorists can be seen as harnessing various types of terrorism we saw in earlier decades: the anti-Jewish/anti-Israel terrorism of radical Palestinian groups and the anti-establishment, even anarchistic terrorism of homegrown groups whose aim was to sow fear and destabilize society as a means to bring down the system. Anti-Semitism takes many forms. Criticism of Israel is legitimate (and sometimes necessary), but it can, and sometimes does, cross the line. This isn’t new either, however. Jews in Europe have been regarded — and scapegoated — as surrogates for Israel for decades. In 1967-68, after Israel defeated Arab states in the Six-Day War, Poland’s communist regime staged an “anti-Zionist” campaign that forced most of the remaining Jews out of the country. At least 13,000 Jews emigrated, according to Dariusz Stola, who is now the director of the Museum of the History of Polish Jews. Other experts put the figure as high as 20,000. This was — and remains — by far the most widespread episode of anti-Semitism in post-Holocaust Europe. A JTA news report at the time quoted ADL National Director Abraham Foxman as noting that the phenomenon was new in the United States, but “it’s been a common occurrence in European countries.” Particularly worrisome, the report said, were Israel-related anti-Semitic incidents on college campuses. Sound familiar? After the Holocaust, it was common to view Jews in Europe as sitting with their suitcases packed, just in case. But — unlike Poland’s “anti-Zionist” campaign — terrorism did not prove an existential threat to Jews and did not prompt a mass exodus. Nor should — or will — it now. The Nazis, followed by Communist rule in half of the continent, almost succeeded in making Europe Judenrein. Following the most recent terror attacks, Jewish and European national leaders have made clear that this is not an option. Moreover, despite the terrorist threat, European governments have refused to budge in their defense of democratic values. It is wise to be on guard, of course, and there is indeed ample cause for alarm — even fear. But we should also be on guard against something else — against a facile temptation to cry wolf that can all too easily distort alarm into alarmism — and fear into fear-mongering. 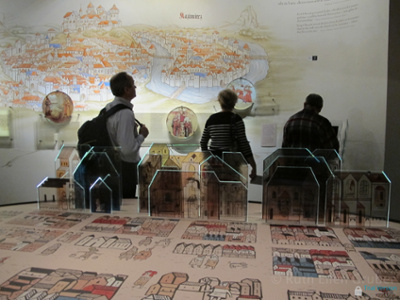 The long-awaited core exhibition of the POLIN Museum of the History of Polish Jews opened Oct. 28. I attended the gala opening events and also wrote a couple of articles — one on the opening itself and one of the broader context. 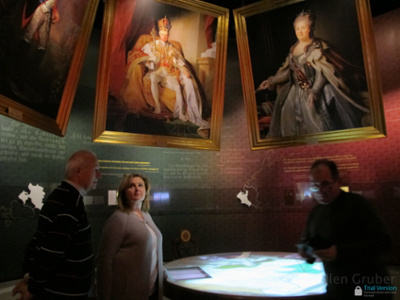 I also posted a photo gallery of the museum on the Jewish Heritage Europe web site. Click here to view the photo gallery. Here below are my two articles, as well as some of the pictures. WARSAW, Poland (JTA) — In a Europe wracked by fears of rising anti-Semitism, and in a country whose Jews were all but annihilated in the Holocaust, a dazzling new “museum of life” celebrates the Jewish past and looks forward to a vital future. Polish President Bronislaw Komorowski and Israeli President Reuven Rivlin on Tuesday jointly inaugurated the long-awaited core exhibit of the POLIN Museum of the History of Polish Jews, a more than $100 million complex first conceived more than 20 years ago. Komorowski stressed the same hopes, declaring that the museum opening was a history-making event that bore witness to Poland’s development into a democratic state since the fall of communism. “One of the central themes in our drive to freedom was to put right the account of history that had been corrupted, manipulated and distorted in so many ways during the non-democratic communist era,” Komorowski said. Before the Holocaust, some 3.3 million Jews lived in Polish lands. Thousands of survivors fled anti-Semitism in the postwar period. The fall of communism sparked a remarkable revival in Jewish life and identity, but the Jewish population today is still tiny, estimated at 15,000-20,000 in a country of nearly 40 million people. The museum is housed in a shimmering glass building erected on the site of the Warsaw Ghetto facing the dramatic monument erected atop the rubble left when the Nazis crushed the ghetto uprising in 1943. Described as a “theatre of history,” the core exhibit uses state-of-the-art technology and multimedia installations to narrate 1,000 years of Polish Jewish history. The exhibition’s eight thematic and chronological galleries detail the complex ebb and flow of Jewish life in Poland from the early middle ages to the present, including periods of prosperity as well as persecution. They recount grand events but also use letters, diaries, photos and other intimate material to provide personal viewpoints. This is particularly notable in the Holocaust gallery, which narrates the history through the words and deeds of the people who experienced it. Other highlights include the reconstructed and elaborately painted ceiling and bimah of the now-destroyed wooden synagogue in Gwozdziec (in present-day Ukraine) and a painted animation of 24 hours in the life of the famous yeshiva in Volozhin (now Belarus). But the core exhibit is only part of the story. Hundreds of thousands of people — Poles and Jews, locals and foreigners — have visited the museum in the 18 months since the building was opened to the public. Organizers expect a half-million or more each year now that the core exhibit has been opened. This broader movement includes a number of new Jewish studies programs at Polish universities, new or revamped museums, permanent exhibits and memorials on Jewish or Holocaust themes in a number of provincial towns and scores of grassroots initiatives ranging from Jewish cemetery cleanup actions to Jewish culture festivals. This year alone, some 40 Jewish culture festivals took place in Poland, mostly in places where no Jews live today. The POLIN museum was built as a public-private institution, with the Polish government and the city of Warsaw providing $60 million for construction and more than 500 private and institutional donors, many of them Jewish, contributing $48 million for the core exhibition. “Though Europe has seen a recent rise in anti-Semitism, in Poland we are seeing a revitalization of Jewish life and culture that is being experienced by – and truly driven by – both Poland’s Jewish and gentile communities,” the San Francisco-based philanthropist Tad Taube, head of Taube Philanthropies and the Koret Foundation, said in a statement. The two organizations were the largest private donors to the museum with a total contribution of $16 million. “The opening of the POLIN Museum of the History of Polish Jews is a game changer that will break down negative stereotypes about Poland,” Taube said. The POLIN Museum of the History of Polish Jews was designed by the Finnish architect Rainer Mahlamaki. The building itself was opened to the public in April 2013. The core exhibition, which opened Oct. 28, uses state-of-the-art interactive technology to tell the 1,000-year-history of Jewish presence in Poland in eight galleries that cover 45,000 square feet of exhibition space. The core exhibit’s galleries are arranged by both chronology and theme: Forest, First Encounters (the Middle Ages), Paradisus Iudaeoreum(15th and 16th centuries), Into the Country (17th and 18th centuries), Encounters With Modernity (19th century), The Street, Holocaust and Postwar. Described by its director, Barbara Kirshenblatt-Gimblett, as a “theater of history,” the exhibit contrasts the grand sweep of epochal events with intimate glimpses of individual joy, pain, fear and reflection. 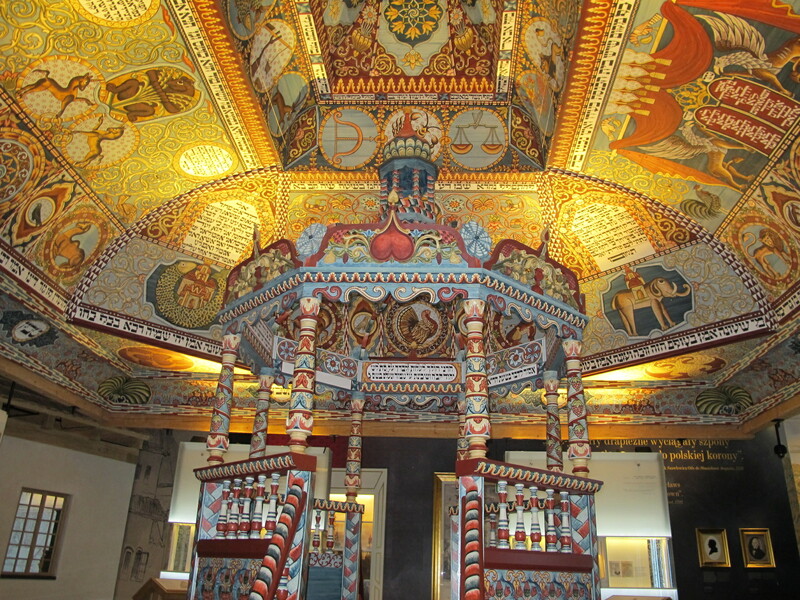 • The dazzling “Jewish Sistine Chapel,” the reconstructed and elaborately painted ceiling and bimah of the now-destroyed wooden synagogue in Gwozdziec (present-day Ukraine), built by hand using traditional tools and techniques by volunteers and students under the leadership of the Massachusetts-based Handshouse Studio. • A larger-than-life-sized painted animation of 24 hours in the life of the famous yeshiva in Volozhin (now Belarus) founded at the beginning of the 19th century by a disciple of the Gaon of Vilna. • A cartoon-like animation telling the story of the Baal Shem Tov, the founder of Chasidism. • “The Jewish Street,” a multimedia mock-up of a typical street in pre-World War II Jewish Warsaw, with exhibits on Jewish life between the two world wars. Its layout in the museum corresponds to the exact prewar location of Zamenhofa Street, the heart of the prewar Jewish neighborhood of Muranow. 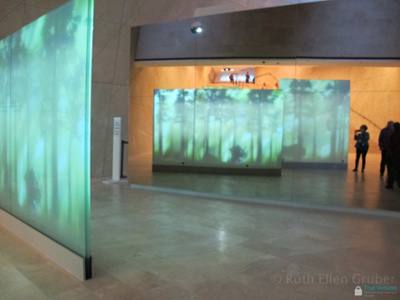 • Evocative shifting video installations of field and forest Polish landscapes where Jews settled. • Hundreds of quotations by and about Jews culled from public documents, official decrees and intimate letters and diaries. • Interactive installations that allow visitors to “mint” a medieval coin, “print” pages from historic books, and “trace” and translate the epitaphs of centuries-old Jewish gravestones. • The Holocaust gallery, which narrates the story of the Shoah in the words of people who experienced it. • Postwar images of the rebuilding of Poland and Jewish life. KRAKOW, Poland (JTA) — Crowds have been streaming to Warsaw’s POLIN Museum of the History of Polish Jews since its core exhibition opened Oct. 28 at a high-profile ceremony led by the presidents of Poland and Israel. Thousands of visitors have toured the museum’s eight interactive galleries that tell the 1,000-year story of Jewish life in Poland and have flocked to events like the recent Warsaw Jewish Film Festival, some of whose screenings took place at the museum. Some 7,000 people visited the museum on a single Monday when admission was free. But POLIN is not the only Jewish-related museum in Poland to win recent recognition. At the end of October the Polish version of TripAdvisor listed the much more modest Galicia Jewish Museum in Krakow as one of Poland’s 2014 top 10 museums. The Holocaust memorial museums at the former Nazi camps at Auschwitz and Majdanek, as well as the Auschwitz Jewish Center — a museum, study and prayer center in Oswiecim — also made the roster. The TripAdvisor list is based on user reviews and is by no means a scientific study. But it reflects the widespread interest in Jewish heritage, culture and history that has been growing in Poland since before the fall of communism. In many ways, POLIN is the high-profile tip of a very big iceberg. The Galicia museum is one of more than a half-dozen Jewish cultural and educational institutions and initiatives in Krakow alone, a city that is home today to only a few hundred Jews. Established 10 years ago, it showcases photographs of Polish Jewish heritage sites taken by its founder, the late British photographer Chris Schwarz. It also hosts temporary exhibits and other events that celebrate Jewish culture from a contemporary viewpoint. Other Jewish institutions in Krakow include the Jewish studies program at the city’s Jagiellonian University, the Judaica Foundation Center for Jewish Culture and the annual Krakow Jewish Festival, a nine-day event founded in 1988 that draws tens of thousands to concerts, workshops and exhibits. The city also has three Jewish bookstores, a Jewish publishing house and a Jewish branch of the Krakow History Museum. A modern Jewish community center opened in 2008 and attracts local Jews, non-Jews and tourists alike to classes, courses, holiday events and kosher Shabbat dinners. Most of the dozens of young volunteers who staff the reception desk and help run JCC activities are not Jewish. “The huge amount of interest in Jewish topics has created an incredibly pro-Jewish environment where people feel comfortable taking steps to explore their Jewish roots,” said JCC Executive Director Jonathan Ornstein. Nationwide, there are various academic Jewish studies programs, new or revamped Jewish museums and permanent exhibits, and hundreds of grassroots initiatives ranging from Jewish cemetery cleanups to more than 40 annual Jewish culture festivals. Given that only 15,000 to 20,000 Jews live in Poland today, most of these are run by non-Jews — about 200 of whom have been honored by the Israeli Embassy since 1998 for their role in preserving Jewish culture and heritage. The more than $100 million POLIN museum, which draws about 60 percent of its funding from the city of Warsaw and the Polish government, is dramatically larger than the other Jewish projects around the country. It aims now to use its clout to reach out far beyond its walls to lead the process of integrating Jewish history into Polish history. In early November, the museum convened more than 100 local Jewish heritage and culture activists from around the country to exchange experiences, network and meet with museum experts. And POLIN’s Museum on Wheels project takes material, information and educational programs prepared by the museum curators to far-flung communities all over the country. “It is very important. It goes everywhere — to towns where people never saw a Jew, or that they didn’t know that they did,” said Krzysztof Bielawski, director of POLIN’s interactive web portal Virtual Shtetl. The site posts news and information about Jewish heritage and history in more than 2,300 towns, cities and villages — and attracts 5,000 unique visitors a day. “There are many myths about Jews,” Bielawski said. Reports that Adolf Hitler’s childhood home in the Austrian town of Braunau am Inn, where the future Nazi leader lived for several years, may be turned into a Holocaust museum triggered memories of my own two visits to the town: once as a student when I spent the night in the local jail; and once nearly 25 years later when I searched out the police log booking me in to the cell. It was dark when we arrived. European borders were not open then; crossing frontiers meant immigration and customs controls. The young border police had a field day with us. Perhaps as some form of weird flirtation, they picked apart our backpacks, holding aloft underwear, Tampax, and other intimacies as we stood there and cringed. By the time they let us go, it was after 10:30 p.m. The youth hostel, where we had hoped to stay, was closed for the night. Our hitchhiking driver, who had remained with us, took us to a local hotel, but it was too expensive for our tiny student budgets. I thought for a moment and then asked him to take us to the police station—where, rather amazingly, I talked the officer on duty into allowing us to sleep in the jail. “I’ll have to book you in,” he told us. And he did. 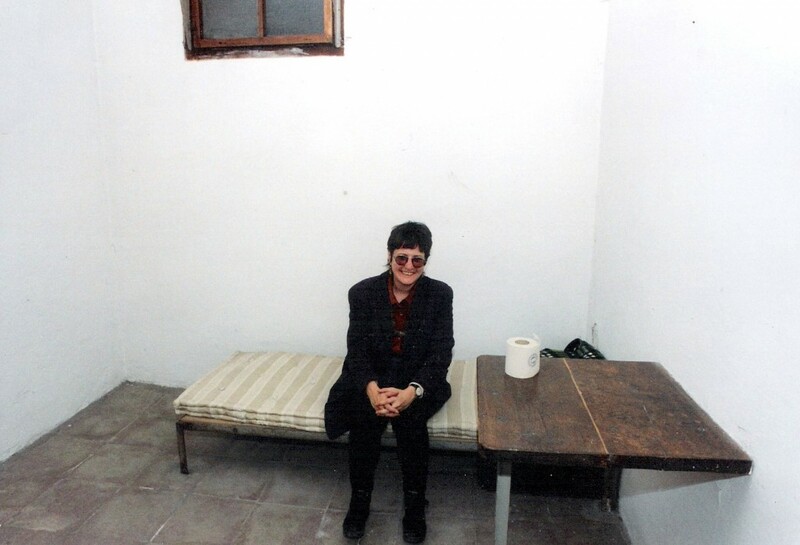 Then he locked us into a cell with a couple of cots, a toilet in the corner, and graffiti on the wall. At 6 a.m., an officer unlocked the door and set us free. We ambled around the open market (I bought a nightgown and clogs), then we picked up another ride and continued on our way—I think we were headed for the Dalmatian Coast. I photographed Hitler’s house and the “never again” monument in front of it—and also the local cinema where, in a bizarre coincidence, Schindler’s List was playing. And I was pleased to be able to afford the hotel that had once seemed so expensive. 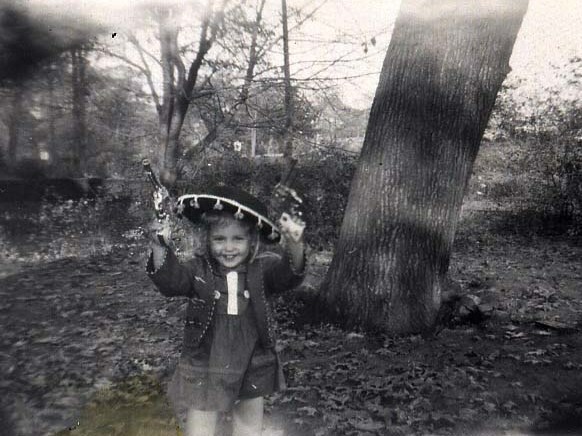 But what I really wanted to do was find out what the police had booked me into jail for back when I was 20…..
I’m quoted in the Wall Street Journal in an August 11 article about European country music by Ginanne Brownell. She writes about a new, more mainstream trend in locally produced country music. But her statement that “many events are moving away from exclusively featuring big-name American acts, opening their stages to local talent” isn’t really right. Yes there are now (or I should say again) more big events by big-name American stars. But most of the scores of country music and bluegrass festivals and other events across Europe have already long mainly featured local groups. The article doesn’t mention veteran European artists like Truck Stop, Tom Astor, Gunther Gabriel, Michal Tucny, Lonstar, etc…. Country music has been a niche genre in Europe since the 1950s, when American GIs stationed in Europe brought it with them. 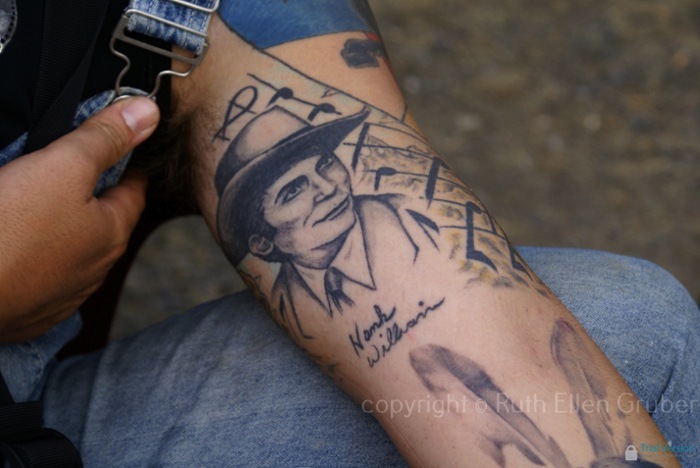 (It didn’t hurt that Elvis Presley was stationed in Germany from 1958-1960). During the Cold War, in countries such as Czechoslovakia, a bluegrass scene developed as a form of rebellion against communism. The subculture is still thriving today, thanks to bands such as Druhá Travá, who have released over 20 albums internationally and have been touring the U.S. nearly every year since 1993. “Bluegrass festivals in the Czech Republic are among the best in the world,” says Ruth Ellen Gruber, an American journalist and writer based in Italy who runs the European blog “Sauerkraut Cowboys.” The Czech town of Kopidlno has been hosting an annual bluegrass festival since 1973. A plethora of country music festivals have been held across Europe for many years. They range from small local festivals to large annual events. For example, France’s La Roche Bluegrass Festival draws 12,000 people, and London’s Country to Country Festival drew 18,000 fans last year and 30,000 this, its second, year. Lately, however, many events are moving away from exclusively featuring big-name American acts, opening their stages to local talent. Much of my writing, research and photography deals with what I have come to call "new authenticies" and "real imaginary spaces" -- sites, experiences and even mind sets evoked by the past or another culture that through study, yearnings and even fantasies are transformed into something else that is quite different but often just as "real" as the original. Enter your email address to subscribe to Ruth's news and receive notifications of new posts by email.